Adapted from an October 1974 Regional Representatives seminar address. As you prepare for the Melchizedek Priesthood, consider this: Every elder in the Church holds as much priesthood as the President of the Church. Only an elder! 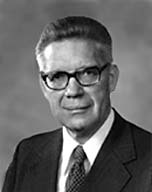 Only the title by which a member of the Council of the Twelve is proud to be addressed; only the title which honors the President of the Church, who is designated by revelation as the first elder (see D&C 20:2); only the office to which millions of persons are ordained in the vicarious ordinances of the holy temples. Only an elder! Only the office which enables a man to enter the new and everlasting covenant of marriage and to have his wife and children bound to him with an everlasting tie; only the office which prepares a man to be a natural patriarch to his posterity and to hold dominion in the house of Israel forever; only the office required for the receipt of the fulness of the blessings in the house of the Lord; only the office which opens the door to eternal exaltation in the highest heaven of the celestial world, where man becomes as God is. Only an elder! Only a person ordained to preach the gospel, build up the kingdom, and perfect the Saints. Every elder in the Church holds as much priesthood as the President of the Church. No Apostle can or will rise higher in eternity than the faithful elder who lives the fullness of the gospel law. What is an elder? An elder is a minister of the Lord Jesus Christ. He holds the holy Melchizedek Priesthood. He is commissioned to stand in the place and stead of his Master﻿—who is the Chief Elder﻿—in ministering to his fellowmen. He is the Lord’s agent. His appointment is to preach the gospel and perfect the Saints. “And when the chief Shepherd shall appear, ye shall receive a crown of glory that fadeth not away” (1 Pet. 5:1–4). Know this: elders, who are standing ministers in the Lord’s kingdom, are appointed to feed the flock of God, to take the oversight of the flock, to be examples to the flock. “Wherefore, I the Lord ask you this question﻿—unto what were ye ordained? “To preach my gospel by the Spirit, even the Comforter which was sent forth to teach the truth” (D&C 50:10, 13–14). Who can measure the worth, the infinite worth, of a soul, a soul for whom Christ died? The Church has need of every elder. None can be spared. The Church must be perfected and the gospel taught to every creature. There is no way to teach the gospel to more than 6 billion people without more missionaries. “And he that reapeth receiveth wages” (John 4:35–36). “Behold, the field is white already to harvest; therefore, whoso desireth to reap, let him thrust in his sickle with his might, and reap while the day lasts, that he may treasure up for his soul everlasting salvation in the kingdom of God” (D&C 6:3). “And now, behold, I say unto you, that the thing which will be of the most worth unto you will be to declare repentance unto this people, that you may bring souls unto me, that you may rest with them in the kingdom of my Father” (D&C 15:6). “Behold, a door was opened in heaven: … “And immediately I was in the spirit: and, behold, a throne was set in heaven, and one sat on the throne. “And round about the throne were four and twenty seats: and upon the seats I saw four and twenty elders sitting, clothed in white raiment; and they had on their heads crowns of gold” (Rev. 4:1–2, 4).